The next time secret government intelligent agents, aliens from UFOs, the Men-In-Black, or anyone else from the New World Order, come knocking on your door asking personal questions and wanting to bug your mail, phone and computer...You tell them that you are protected by the good folks at Conspiracy Journal! Yes, that's right! Watch as they flee in fear from our intrepid reporters and field investigators, striving everyday to bring you the latest in weird, suppressed news and information that you won't see on your favorite alternatice facts social media page. Stephen Hawking Warns "Technology Will Destroy Us"
Stephen Hawking has warned that technology needs to be controlled in order to prevent it from destroying the human race. The world-renowned physicist, who has spoken out about the dangers of artificial intelligence in the past, believes we need to establish a way of identifying threats quickly, before they have a chance to escalate. “Since civilisation began, aggression has been useful inasmuch as it has definite survival advantages,” he told The Times. In a Reddit AMA back in 2015, Mr Hawking said that AI would grow so powerful it would be capable of killing us entirely unintentionally. Tesla CEO Elon Musk shares a similar viewpoint, having recently warned that humans are in danger of becoming irrelevant. “Over time I think we will probably see a closer merger of biological intelligence and digital intelligence,” he said, suggesting that people could merge with machines in the future, in order to keep up. About a decade ago, astronomers first began to detect strange millisecond-long bursts of radio waves. Fewer than two dozen have been observed, and they're believed to originate in distant galaxies, billions of light years from Earth. "Fast radio bursts are exceedingly bright given their short duration and origin at great distances, and we haven't identified a possible natural source with any confidence," said theorist Avi Loeb of the Harvard-Smithsonian Center for Astrophysics. Loeb, and his colleague Manasvi Lingam from Harvard University, have suggested instead that there might not be a natural source at all. "An artificial origin is worth contemplating and checking," he says. In a paper published in Astrophysical Journal Letters, Loeb and Lingam looked at whether it'd be possible to create a radio transmitter strong enough to be detected in other galaxies. They found that a solar-powered transmitter, with sunlight falling on an area of a planet twice the size of Earth, would be enough to generate the required energy. The next question was whether a structure of that size would be viable from an engineering perspective, or whether the enormous energies involved would melt the whole thing. With water-cooling techniques, they say, the heat could be withstood. The biggest unknown, though, is what an alien civilisation would do with such an instrument. The most plausible answer, Loeb and Lingam say, is driving interstellar light sails. The power could push a payload of about a million tons. "That's big enough to carry living passengers across interstellar or even intergalactic distances," said Lingam. Loeb acknowledges that the work is speculative, saying: "Science isn't a matter of belief, it's a matter of evidence. Deciding what's likely ahead of time limits the possibilities. It's worth putting ideas out there and letting the data be the judge." The full paper is available online at the arXiv pre-print server. Phantom dogs, spring-heeled demons and a half-man, half-owl hybrid - these are just some of the strange and mythical creatures from English folklore that have inspired writers for centuries. It was while novelist Sarah Perry was driving through Essex with her husband that she first heard the story of a giant serpent, with teeth "very white and sharp". The myth of a 9ft (2.7m) snake which terrorised the county's cattle had been told for centuries. Inspired, she produced her novel The Essex Serpent, which won her the Waterstones Book of the Year prize last year. The tale of the giant serpent first surfaced in a pamphlet from 1669, which claims its antics were "attested by many credible persons". "It's a great unsolved mystery," says Perry, who lives in Norwich. "Some say it was all a hoax, a monster that was hand-built by a man and his son. "Others say it was a crocodile - some such creature which escaped from the [royal menagerie housed at the] Tower of London and made its way to the Essex marshes." Regardless of its authenticity, myths and the "dark places that inhabit the corner of your eyes" have always interested her. Fellow author Karen Maitland drew on the tales of the Owlman - a relatively modern Cornish story first recorded by paranormal researcher Tony Doc Shiels. According to Shiels, two girls, aged nine and 12, saw the creature hovering near Mawnam church in 1976, describing it as large like a man but with pointed ears and red eyes. The story party inspired Maitland's work The Owl Killers. She said she wanted to include the Owlman in her thriller for its links to the occult. "The owl was once a symbol of female power that had been subverted... used by the church and by local cults." Another writer inspired by local legend was Bram Stoker. The Dracula author had his head turned by the legend of the Lambton Worm, which was said to have terrorised the County Durham village by snatching away small children and devouring sheep. He wrote The Lair of the White Worm, published in 1911, based on the myth of the monster, which was described as large enough to coil itself around a hill. It was later turned into a Ken Russell film, featuring Hugh Grant in one of his earliest roles, Amanda Donohoe and an unfortunate boy scout. Similarly, Arthur Conan Doyle drew on the story of Black Shuck - the demon dog that apparently appeared at churches in Bungay and Blythburgh in Suffolk during a thunderstorm in August 1577. The animal apparently killed two parishioners and left scorch marks on a church door, and became one of the inspirations for the Sherlock Holmes novel, The Hound of the Baskervilles. It also inspired Essex writer Martin Newell, who wrote a poem named after the dog. He says more and more writers are being drawn to mythology "as society becomes more secular and the younger generation, who never go near a church, are looking for mystery in life". "I grew up with the stories of Black Shuck from my granddad. When I was writing [the poem] someone said to me to 'be careful'," he adds, with a nod to the grip the story still holds on people. Other demonic creatures to be immortalised in print include Spring-Heeled Jack, who struck fear in the hearts of Victorians. Sightings of the mysterious light-footed man, who could leap over 9ft (2.7m) fences, were recorded from Chichester to Liverpool and were first reported in The Times in the 1830s. Prof Rohan McWilliam, an expert on Victorian culture at Anglia Ruskin University, said popular Gothic fiction turned monsters such as Spring-Heeled Jack into unlikely heroes - partly in reaction to what was happening culturally at the time. "In the 19th Century you had a high tide of rationalism and these horror stories, and these monsters, acted as a counterweight to the rationalism," he said. The devilish ne'er-do-well, who terrorised people and chased a gardener, according to a report from 1838, went on to inspire a novel named after him, written by Philip Pullman. While the story is almost 200 years old, the motif of a mysterious, shadowy man continues to be used in modern-day tales. Slender Man, a horror character created on the internet by Eric Knudsen in 2009, is a present-day example of a mythological creature. "The Slender Man is unique only in the fact that he was generated via online forums," says Shira Chess, assistant professor of mass media arts at the University of Georgia. "This affected the speed of his spread but not the essence of his story. In many ways, the Slender Man resonates with older styles of storytelling, fairy myths, and other modes of folklore." Jonathan Downes, a director of the Centre for Fortean Zoology, says even though it was created in the digital world, the Slender Man bears the hallmarks of old-school folklore and looks likely to influence writers in generations to come. Maitland says novelists, poets and songwriters are likely to continue finding inspiration from these creatures of old and new folklore. "Ever since man first sat around telling stories these shadowy creatures have been a big part of those stories," she says. "Writers are drawn to these creatures because they stir something primeval in us." A large “cat” with a taste for mutton is believed to be roaming the most remote parts of northern Scotland, stripping sheep from their skin and leaving no trace but bones and wool. The mysterious beast's latest catch is a hefty and healthy ewe of about 50kg. Her wool was neatly peeled off her skin before it was eaten. The carcass was found less than 100 yards from a croft in Swordly at the weekend. The ewe belonged to Susan Mackay, who is not the first crofter to fall victim of the unknown animal. 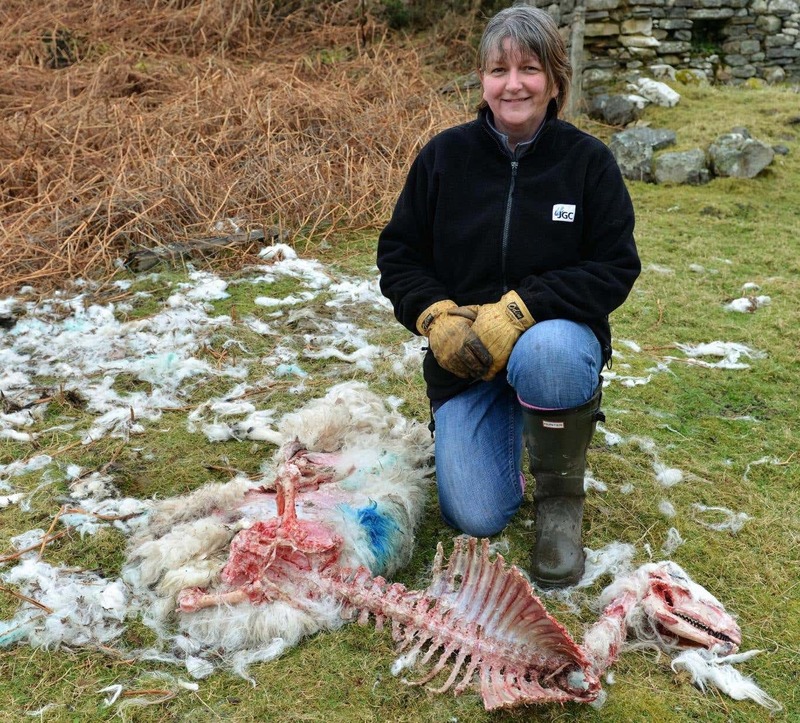 Jim Johnston, 66, who lives in the village of Bettyhill, has developed a particular interest in the story and photographed Mrs Mackay with the carcass of her sheep. He told the Independent that over the past five years, about 40 sheep have been found dead, apparently killed in one go, all neatly stripped of their skin before being eaten, across an area of about 200 square miles between the parishes of Farr and Tongue. “The same pattern is happening. Whatever animal is doing it, it manages to peel the skin off, probably because it doesn’t like the wool, and it skins the sheep in a most expert way - removing the skin along with the wool. “It has a very powerful bite. It crunches right through the bones and kills the animal very easily. Mr Johnston remembers one instance when two animals killed in exactly the same way were found about 200 yards from each other. “The first time I was convinced it was a cat but this time I am less certain. The killings are very reminiscent of those a few years ago,” he said, still wondering whether the animal could be something like a puma. The relationship that exists between a haunted house and its occupants is like two circles colliding. Each circle is a myriad of conscious interaction that ﻿constitutes its own form of a created reality. Haunted landscapes and UFO 'hot-spots' may be where these highways of consciousness intercept and perhaps for a period of time interlock. Experiencing paranormal phenomena may be a meeting of minds where each interacts with the other, and so may be recognised or interpreted by the other. Both the haunted terrain and the walker in the terrain bring each other into being by mutual recognition and interaction. Therefore the walker becomes the haunted terrain as the haunted terrain begins to walk. Each reality validates the other and each may interpret, absorb and possess the other for the duration of the haunting. A haunting experience is essentially about exploration of consciousness and this is achieved through the interaction of the observer with the environment that may observe us in return. These are consciousness enriched landscapes where we become both the observer and the observed. With doorways unlocked and gates flung open we merge, into what could be the beginnings of an ongoing boundaryless interaction. The nature of physical reality often becomes questionable as time shifts occur and we experience things such as apports, teleports, the ﻿multiplication of food or the passing of objects through metal and wood. What we assumed to be steadfast physical reality becomes an intangible process of dreaming. Rather than ending a story with, "I woke up only to find that it had all been a really bad dream. ", we might say, "I began to dream only to find that it had all been a really limited reality." It is natural for consciousness to cling to the physical world but materialism is meant to express our growth not limit it, since the physical world is also limitless. Only by our desire to possess and control it, do we place ourselves in these binary orbits of limitation. The paranormal is normal. It is only relegated to fringe subject matter because our idea of reality collapses under such situations and so the haunted landscapes are treated to a dose of human fear followed by an attempt to control. So what are these landscapes we enter when we collide with the ghostly beings? Bruce Duensing writes of his experience with a ghost while on a highway, where an interaction between the two takes place as though ghost were physically manifest. There follows a brief conversation where the ghost gives advice on hitchhiking. Interestingly, Duensing is focused on the relationship that occurs between the ghostly being and himself, rather than the thrill of 'seeing a ghost', this bringing to mind that relationship involves empathetic interaction and not cheap entertainment. The processing that takes place after such encounters is common as our interpreting minds attempt to catalogue an experience into a filing cabinet that contains no files. When one interacts with a ghost they collide with the reality of another being. This interaction is clearly evident in movies such as The Shining and Poltergiest where the families are being slowly influenced by and absorbed into another reality, that exists separate to but ﻿simultaneously alongside their own. It perhaps takes a strong mind to avoid possession or even psychosis and to remain both selfless and aware under those circumstances and to witness without ego fear or judgement. In order to experience the haunted landscape you must become it and unbecome it simultaneously, so that a flow of conscious energy is continually evolving. All worlds are haunted. All consciousness is ghostly. The worlds are made up of consciousness. Hauntings involve a collapsing of boundaries and limitations. Only the skeptical mind rebuilds the structures and then forgets what lies beyond them, or even that they have built them, then denies all possibilities beyond what they have built. But these are fragile sand castles erected on the sea's great edge and the ocean is coming. Who's reality do we exist in when come across a ghostly being? As they are the ghosts of our worlds, perhaps we are the ghosts the theirs, something intangible yet vaguely recognised that they too reach out to, only to find that their hands and their thoughts pass through us unrecognised and unacknowledged. Do we walk through the walls of their worlds on occasion? 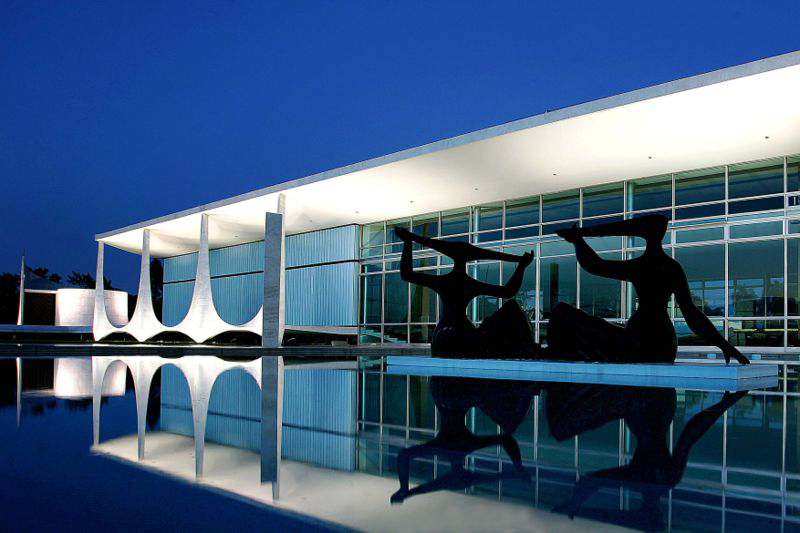 Are the physical environments we occupy simply 'haunted' landscapes for them? The living consciousnesses of the disembodied may strive to find the mind who can perceive them and translate them into our world through a physical medium. But are the embodied the disempowered elsewhere? If we are to understand and develop relationships with ghostly beings, it will be within our own thought processes and not in the light of a ghost hunter's torch. We are our thoughts and when we connect and become entangled is not where our bodies end, but where our minds begin to meet and journey together. If the physical world is thought into existence, then it is very likely as limitless as the mind that imagines it. What we choose to label as realities are merely stones in a stream, a series of reference points in universes of conscious development and interaction. The way to investigate a ﻿poltergeist is to understand the consciousnesses involved in the collision of worlds and the collapse of boundaries. What were they thinking? What state of mind are they in? How do they contribute or connect to the phenomenon? I believe that there are a multitude of consciousnesses involved in ﻿poltergeist or haunting or UFO experiences, which in their own way are simply another kind of haunting. ﻿Phenomenon is catalogued by human organisations but in the intangible realm it remains interconnected. The only given is interaction. Therefore a haunting is merely another reality that we experience, while the circumstances are favourable to such interactions. This is likely to involve the meeting of minds rather than the need to capture, record or prove. The ghostly consciousness may be tuned into our environment as in the movie The Others. These so-called 'others' may very well experience us as ghostly. Rather than two passing ships in the night, we become two colliding circles of reality imbued with multitude of consciousness. We are overlapping points collision in a mind created world, that feels as if it exists all around us but is only just out of our awareness. When one enters the environment of a haunted house or landscape, one enters the consciousness of it as it enters us. Haunted people and haunted landscapes are the one being. Your mind is a landscape just as the landscape is your mind. It is all consciousness colliding and interacting, and in the case of many of us, an attempt to physically manifest or unmanifest. In the same way that the many selves of a multiple personality strive for co-conscious existences, so may we need to become co-conscious in order interact with and understand the worlds of ghostly beings. While each reality may involve its own rules and have its own ways of becoming and being, this video film clip (Take Me On by Aha) relies on frames and the interaction between a comic book character and a young woman in a diner to show that LOVE allows us to traverse the boundaries of the worlds that exist parallel to our own. While girls probably prefer to meet the Little Mermaid, boys would rather find a mermaid who’s a little on the wild side … unless they live in Gokwe, Zimbabwe, where a report has surfaced (no pun intended) claiming two boys were dragged into a lake and drowned by an evil mermaid. "It is reported that on the fateful day the two boys who were in Form One and Two at Ganye Secondary School were herding cattle when they saw the mermaid at the dam. According to a friend of the deceased boys, his companions jumped into the dam and tried to grab the mermaid because they believed it was just a big fish. But the mermaid pulled them down into the water." That statement from Gokwe Chief Nemangwe described the alleged scene in Village Seven, near the Pachemumvuri Dam where the bodies of the two boys were found under suspicious circumstances. Well, suspicious to most people outside of Africa where tales of evil mermaids are abundant and taken very seriously. 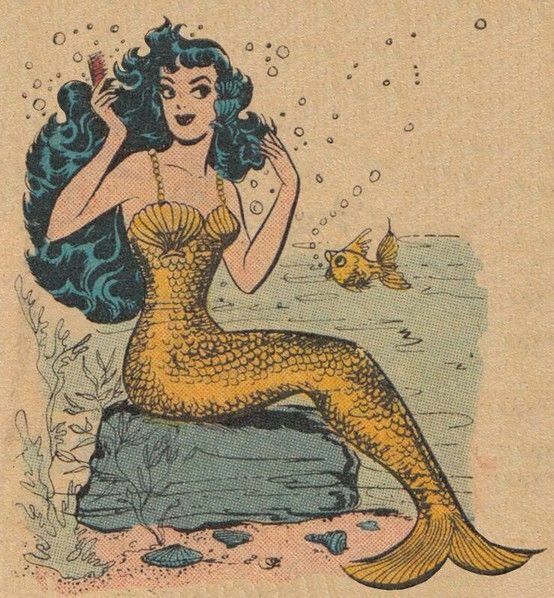 The alleged incident occurred on February 19th in an area near the dam where witnesses interviewed at the scene claimed that a mermaid had been scene multiple times on the bank recently. No one but their friend saw the mermaid take the boys, and he claimed the mermaid soon brought them back and tossed them onto the bank, still alive. The witness must have called or ran for help because adults, including the parents of the boys, eventually showed up and began crying. According to local mermaid lore, that was their big mistake. It’s bad luck to cry after a mermaid incident and bad luck is what happened. According to Chief Nemangwe, the adults, including the parents, saw the mermaid return and pull the boys back into the water again, this time holding them under until they drowned. Yes, it sounds unbelievable – but not to Chief Nemangwe, who says two other people were reportedly killed by a mermaid recently at this same location. What kind of police work is involved in catching a murdering mermaid? "As a community we have since performed some rituals to calm down the water spirits. During the ceremony we slaughtered a beast and the meat was consumed without salt." That’s it? A ceremonial barbecue? This story is beginning to sound as fishy as the mermaid. Maybe it’s time to post a guard at the Sengwa 2/Gwehava Dam. In 2012, work on the dam was stopped for a time when workers claimed mermaids were mysteriously messing with their machinery. Local leaders were again brought in to calm down the water spirits. This time, the ritual was said to include brewing beer. That’s right … beer! The proper way to get rid of mermaids in Gokwe is baking a beast and brewing some beer. Is spotting a mermaid a reason to host an end-of-summer barbecue in Zimbabwe? This is not to make light of the deaths of two boys, assuming that part of the sole local report on the incident is true. However, the “calming of the water spirits” would sound more legitimate if it didn’t depend on beef and brewskies. While past tales of wild African mermaids were truly scary, this one doesn’t even deserve a movie.